Please consult the photograph above for details of the vehicle’s design and retail presentation. Additional images of the recalled products can be found on the Web sites listed above. According to the CPSC, hot coolant can spray out onto consumers from the overheated and pressurized coolant reservoir tank, posing a burn and/or scald hazard. Kubota has received three (3) reports of burn injuries from coolant ejection. If you believe you have purchased or have in your possession any of the recalled Diesel and Gasoline-Powered Zero Turn Mowers, Compact Tractors and Ride-On Mowers, please do not use them. Instead, kindly contact Kubota to receive a free replacement coolant reservoir tank cap. Kubota is contacting all known (i.e., registered) purchasers directly. If you have any questions about this recall notification, please contact Kubota Tractor Corp. toll-free at 1-888-458-2682 from 8:00 AM to 5:00 PM, Central Time, Monday to Friday. Alternatively, you can visit the company’s Web site at http://www.kubotausa.com and click on the “Service & Support” link then on “Safety”, then again on “Safety Notices” for more information. ==> To see other recalls and notifications caused by suspected faulty and/or dangerous Diesel and Gasoline-Powered Zero Turn Mowers, Compact Tractors and Ride-On Mowers, please search for “mower” using the Search Box at the top of this page. 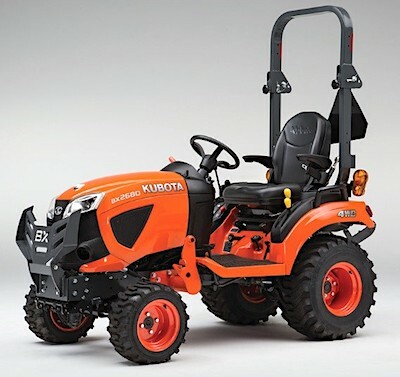 ==> To see other recalls and notifications relating products and vehicles manufactured, marketed and/or sold by Kubota Tractor Corp, please search for “Kubota” using the Search Box at the top of this page.